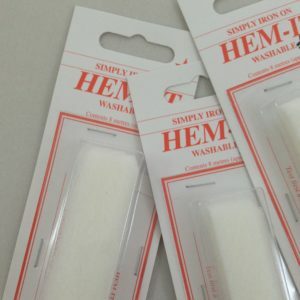 HomeHaberdasheryAlteration, Mending and Repair ToolsHem it ! so it’s either an emergency or you’ve run out of time. 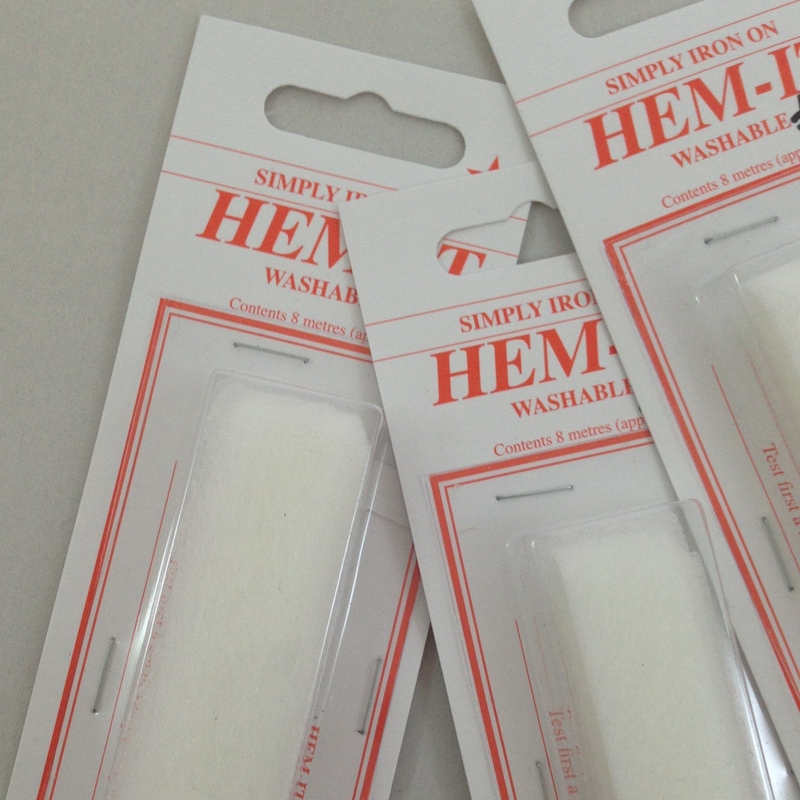 Perfect to hem skirts, trousers, dresses, curtains etc. Hem It is a fine fusable fleece which bonds fabrics together quickly & easily, providing a natural firmly joined finish. Use a warm iron and no steam, test first if possible. Cut into manageable 2-3cm pieces. Insert between 2 pieces of fabric.